Last night I had dinner with a friend, and we chatted about a number of significant life events. My friend has taken a new job after spending many years at the same non-profit. Times like these tend to inspire us to take stock of other life transitions and pivotal events. Though we spoke about “outside” things — about the details and external trappings of living — our conversation continued to flow back to our “inner” lives. We spoke about how the Holy Spirit weaves her way through our interactions and relationships, bringing texture and meaning. We spoke about the wonderful surprises that are evident in our lives if we pay attention, if we look for them. Most often these gifts are found in the moment. Often through a chance encounter or unexpected exchange. 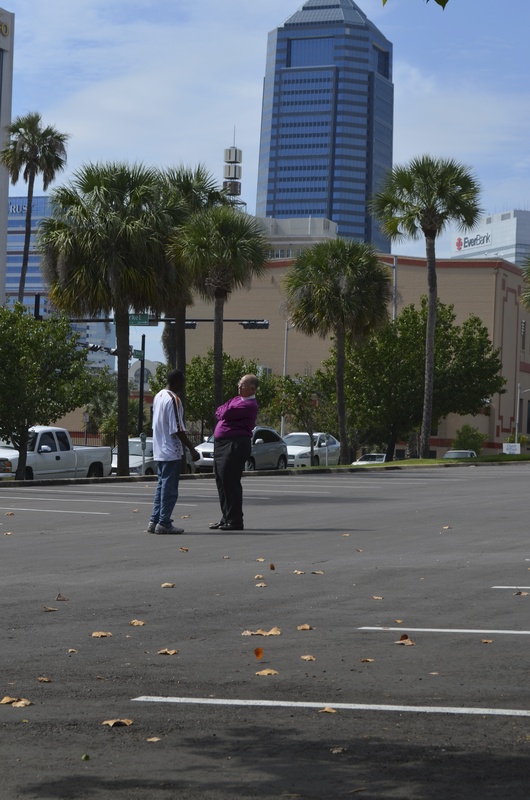 When a friend from the street pauses and, from a vulnerable, honest place, says, “I love you.” Or a bishop responds to a tap on his shoulder and takes a moment, right before the start of worship, to step to the far side of the parking lot and listen with compassion. These gifts often are transmitted in a few seconds, in a moment or two at most. But they resonate in our hearts. They will speak to us and teach us. They will feed us over the course of time if we let them. This entry was posted in congregational development, Diocese of Florida, Episcopal church, faith, Grace and tagged church without walls, community, compassion, healing, holy ground, homelessness, hospitality, vulnerability. Bookmark the permalink.